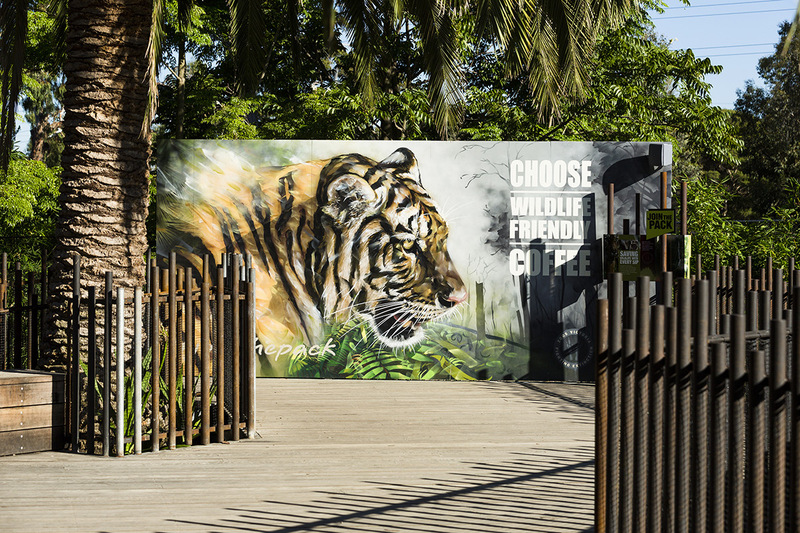 Urban Initiatives designed the Carnivores Trail to align with Melbourne Zoo’s Long Range Plan, which aims to significantly increase visitation and enhance the onsite experience by connecting visitors with animals, improving animal welfare and educating the public about wildlife conservation. 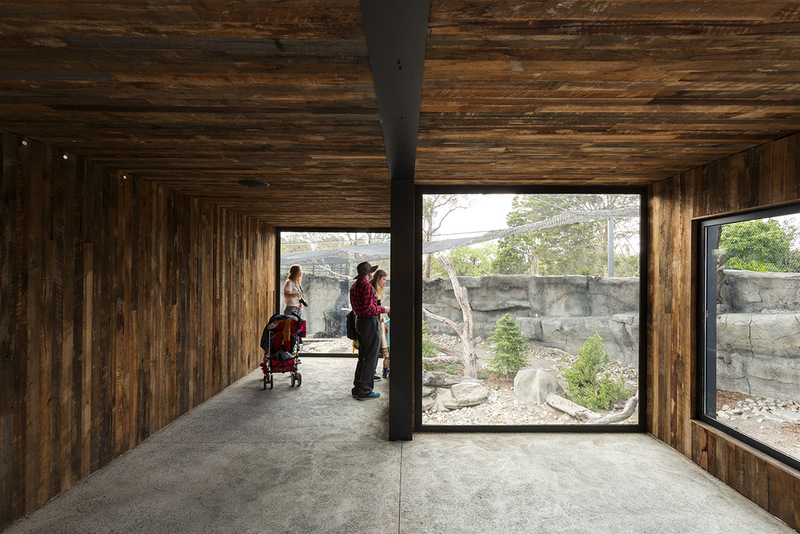 This significant project involved the renewal of the northeast section of the Zoo (approx.15,000m2) including the lake and islands (originally developed in 1875), numerous out-dated cage type exhibits and the 1960s Lion walkover, to create an engaging, immersive and memorable visitor experience that reflects best practice animal enrichment and embodies the conservation values that underpin contemporary zoos. 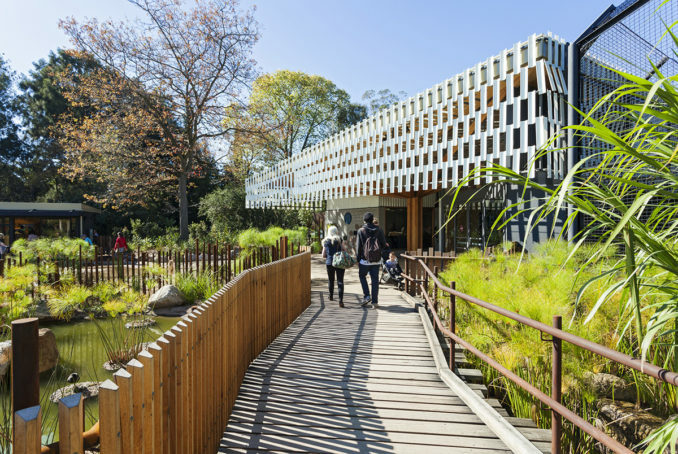 Designed by ARK, a collaboration between Urban Initiatives, Ola Studio and Arterial Design, the project was implemented in two stages, both of which involved complex management and timing considerations to ensure minimal impact on visitors, animals and the daily operation of the Zoo. Urban Initiatives was the lead design consultant and project manager for both phases. Stage 1 included Lions, African Wild Dogs and critically endangered Philippine Crocodiles. 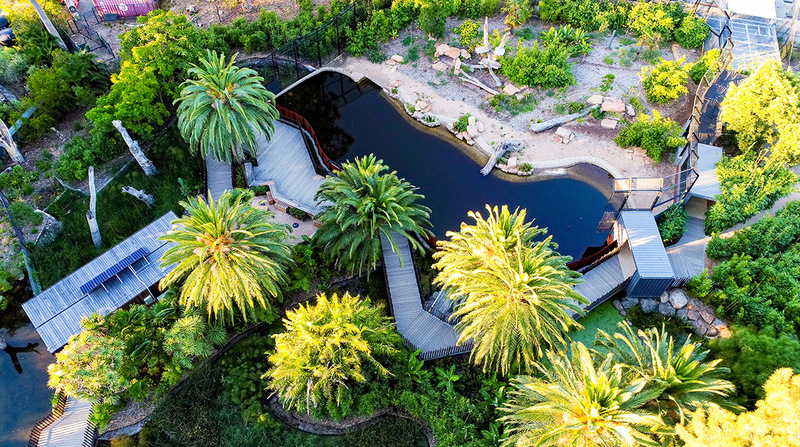 Centred around the ‘Refuge Tree’ Education Centre and the ‘Waterhole’ where all predators come together, the design fosters understanding of the interrelationship of humans, habitat and predator species. Close up viewing opportunities, vegetation and water play areas were designed to heighten intensity, excitement and intrigue. 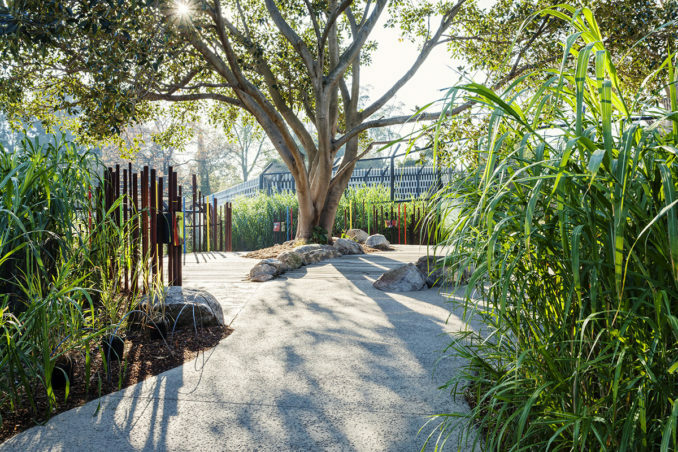 A 100-year old fig tree was relocated from within the Zoo to form a central viewing node. 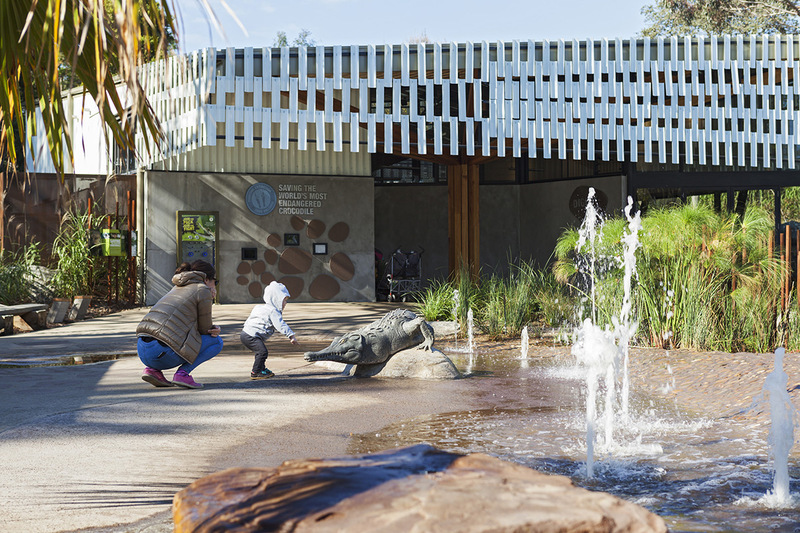 The interpretive journey is based on the ‘join the pack, join the fight’ conservation message to inspire visitors to engage in actions that are achievable and beneficial to conservation programs working in the wild. 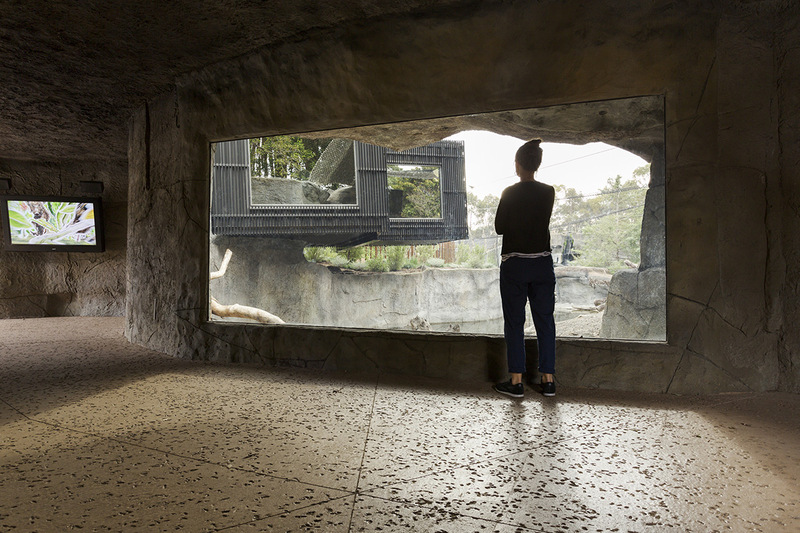 Stage 2 ‘Leopard Ridge’ included Coati, Snow Leopards, Sumatran Tiger, Tasmanian Devils and the expansion of the African Wild Dog Exhibit. These exhibits forefront world-class animal enrichment that actively engages the animals, maximises choice and encourages natural behaviours. Exhibits are set amongst significant existing trees and re-purposed site elements including rockwork and the lake. Local artists were commissioned to convey conservation messages through street art that gives the area a distinctively Melbourne feel. 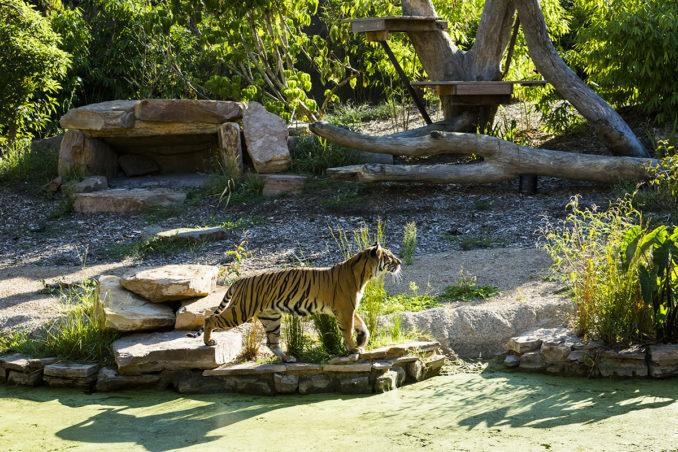 Urban Initiatives worked closely with Zookeepers and the assets staff to develop innovative animal enrichment devices that are integrated within landscape features. This was vital for animal well-being and to motivate animal activity, particularly given the shy nature of Leopards and Tigers. 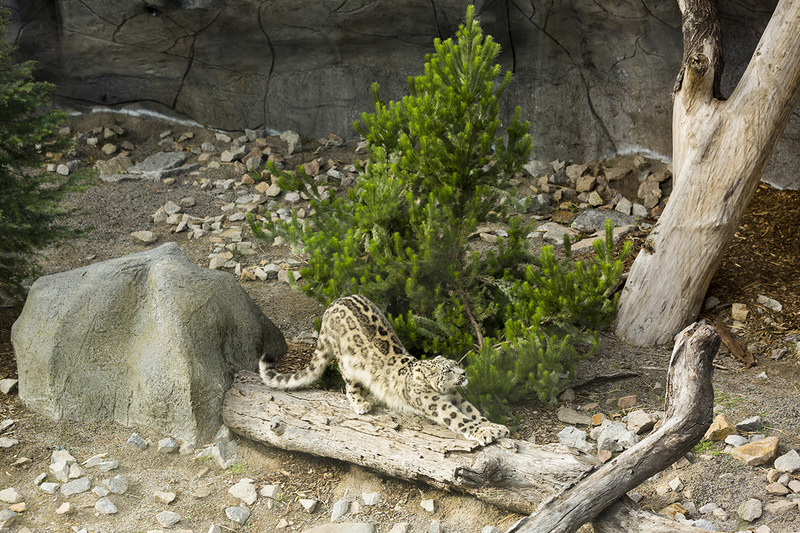 A feeding device embedded in the Snow Leopard rock wall randomly releases food into the exhibit at varied times and locations, hinged logs wobble when stepped on, rocks contain heating and cooling to encourage lounging, cabled lures can be loaded with meat to encourage big cats to chase and capture as they would prey, one way glass encourages full use of exhibit space by the animals by reducing awareness of visitors, and containment moats in the Wild Dog and Tiger exhibits enable swimming while reducing fence heights. 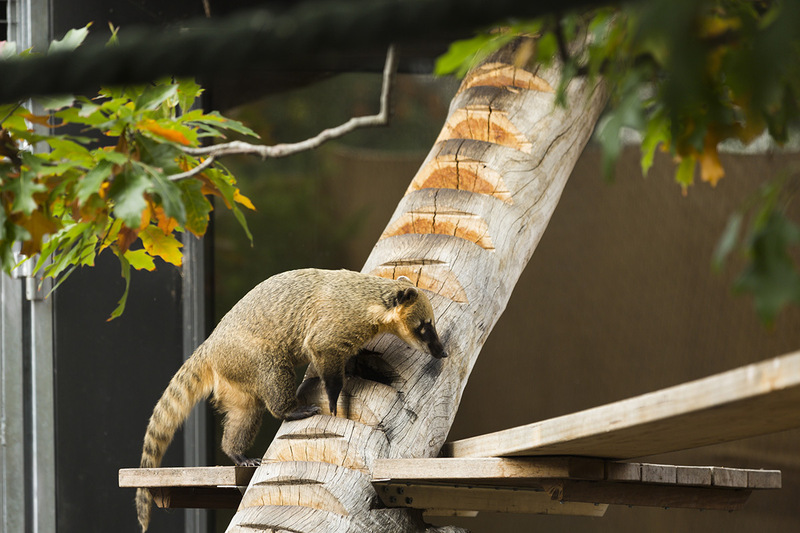 Interpretive elements were designed to encourage parallel play – children climb like Coatis in rope play containers, scale a wall like the Snow Leopard, stalk like a Tiger, listen for prey in the long grass like a Wild Dog and search for endangered Philippine Crocodile eggs in The Waterhole. The ARK collaboration ensured that the core design team worked together closely at all stages to ensure the streamlined integration of elements across the project. 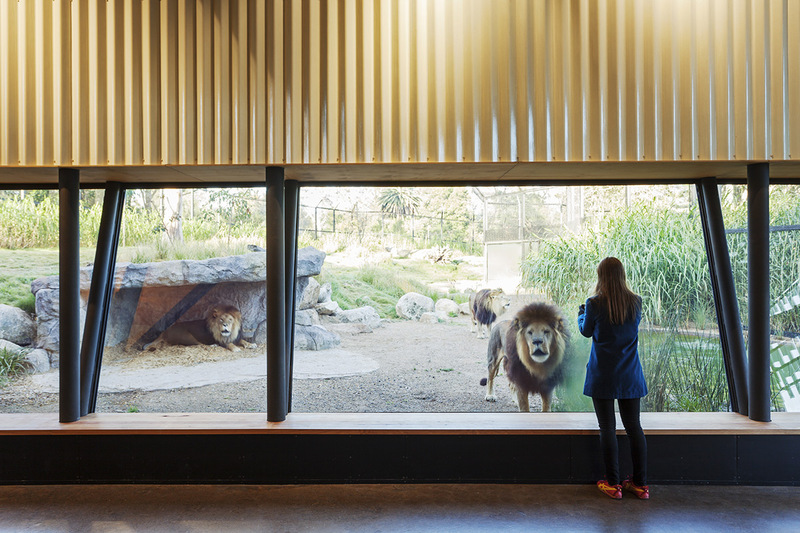 Frequent and ongoing engagement with Zoo staff including keepers, assets, and education and visitor experience teams, was integral to the design process. Local Melbourne street artists were engaged to create strong, visually rich and impactful messaging that would be memorable and easily shared on social media for enhanced publicity. The Carnivores Trail design forefronts education about the importance of predators in their ecosystems, the relationships between predators and humans, and how to help the Zoo’s conservation efforts to preserve these important animals. 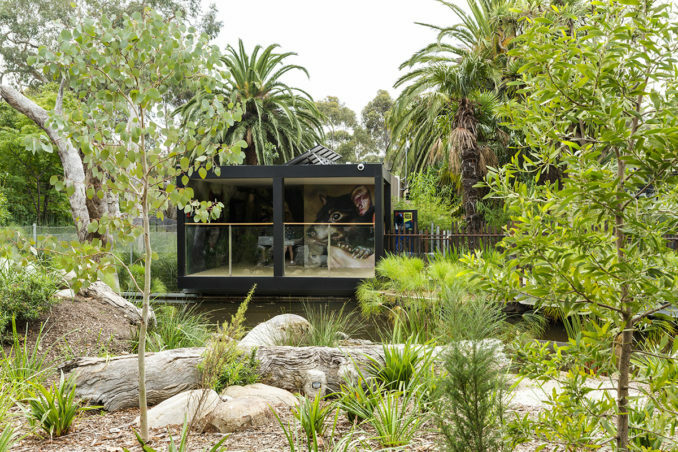 Solar panels installed in this project are core to Melbourne Zoo becoming one of the first zoos in the world to be certified carbon neutral under the Australian Government National Carbon Offset Standard (NCOS). 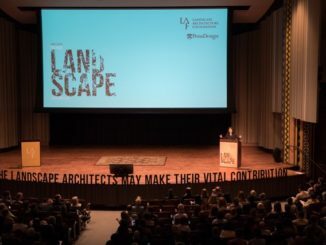 In addition to embedded environmental messaging, materials and labour were sourced locally and adaptive re-use of existing site elements was prioritised. 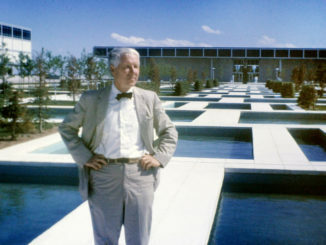 Existing recirculating waterbodies were improved with wetland planting filtration, mock rock walls were resurfaced, existing concrete stair treads became bench seats, steel from old exhibits was re-purposed as boma screens and fences, back of house facilities were retrofitted, and a large number of existing trees were retained. Active recycling process meant that over 96% of materials removed from the old exhibits were recycled. 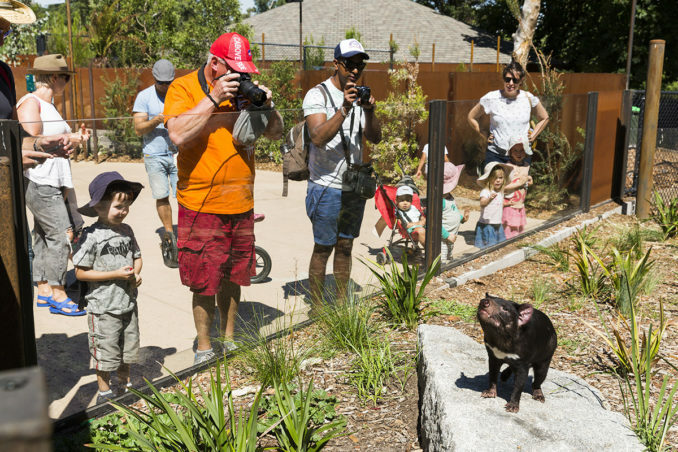 Carnivores Trail has established a benchmark visitor experience that is integrated and seamless, offers an exciting and memorable experience, and has significantly increased visitation. The precinct has transformed an out-dated part of the Zoo to a world class facility of social, environmental and economic value that embodies and promotes the conservation values that are core to the Zoo’s continuing activity and future.